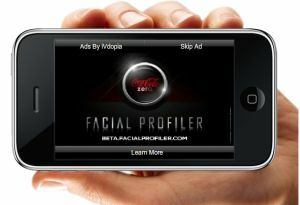 The mobile video advertising has started turning in profits. The US and India-based Vdopia Inc, which runs online and mobile video advertising network iVdopia, claims to be delivering $500,000 in profits every quarter, according to company officials. The revenues are not available. The company, which raised $4 million from Nexus Venture Partners in 2009, is now expanding to Singapore in preparation of the launch of its latest product .Vdo (pronounced dot vdo) in Asia Pacific region. They are banking on the fast growing Asian mobile advertising market, which is expected to reach $1.5 billion this year compared to $1.2 billion in USA and $200 million in Europe. The company is already present in India, which is the largest mobile ad impression market in Asia Pacific. The company has six sales and development centres globally - New York, Chicago, Los Angeles, San Jose, Mumbai and Gurgaon. The company is rolling out a new product .Vdo in mid-April, and that will aim to solve the problem of ad formats for advertisers and cut huge costs of video delivery. Earlier, videos had to be converted and transferred depending upon the type of phone and OS. With .Vdo, advertisers can send the same video which can play on an iPhone or a Blackberry or a Windows Phone 7 phone, according to the Stanford educated co-founders Chhavi Upadhyay and Srikant Kakani. Upadhyay said, "This is a disruptive technology. If you have tried to watch a video on your mobile, you would know it takes a lot of time to open up the native player. It was difficult to deliver videos for different devices, requiring specific encoding." .Vdo addresses the problem by playing videos within the browser itself. The company is already running 13 campaigns using .vdo and has concluded 60 in USA. ".Vdo will bring a change in how mobile advertising is perceived and how much (time) people are spending on it. Right now, it's only performance advertising. Ideally, brands should be able to reach out through the mobile medium as that's where the consumers are," she says. Consumers can also look forward to a shift in the amount of video content on the mobile this year. Kakani said, "Our vision when we started was to ensure that there was video content available online and we have played a huge role in that. Our current calling is to get more mobile advertising and the reason why we want to help mobile advertising make more money. Right now, content is not where it should be on mobile and people are not investing much in mobile content." They contend that Indian media firms are lagging behind the mobile curve compared to their counterparts. "In USA last year, a lot of media content started coming online and there was a lot of investment in mobile apps with iPad subscriptions and magazines for mobiles. There were different apps for different devices and people wanted to get it right," says Upadhyay, adding that companies like AdMob benefited from this step. Banner ads and SMS advertising are currently the only methods Indian marketers are following, which are arcane and unappealing to advertisers who want to deliver rich media ads. Advertisers are not yet aware of the amount of money they can make out of the medium, she adds. "If you talk to publishers, banner ads and SMS ads are not making money for them," says Upadhyay. "There are 4 billion banner ads being served per year in India today but since they follow CPC based model versus CPM models, the total market size is small - maybe around Rs 1-4 per ad," she said. With 3G roll outs and the expectations of growth of mobile Internet usage, the founders believe 2011 will be the year of video advertising on the mobile in India and are meeting various Indian broadcasters and media firms to convince them about the opportunity. Brands like Big TV, Dainik Bhaskar, Godrej LCD, GM, HCL, Pepsi, Samsung, Spice, Tata Safari, Tata Sky, Tata Indica, Nokia, Travelocity, Tropicana, Virgin, Volkswagon and Yatra have used Vdopia's solutions to deliver online and mobile ads. The cricket season has helped boost Vdopia's presence in India with websites such as CricketNirvana by Nimbus Communications, and ESPNStar.com adopting a no-holds barred approach to advertising. Amongst Vdopia's new clients on its video ad network are Ticketplease.com, Whatsonindia.com, Mastiii.com, ePlayer (a Perform Group company) and Filmorbit.com. Vdopia competes with various ad networks in India including Jivox, Komli, which recently raised $15 million in a round led by Norwest Venture Partners, IDG Ventures backed Ozone Media Solutions Pvt. Ltd, Smile Group's Tyroo, Networkplay, Media Estate, IndiAds and AdsForIndians.